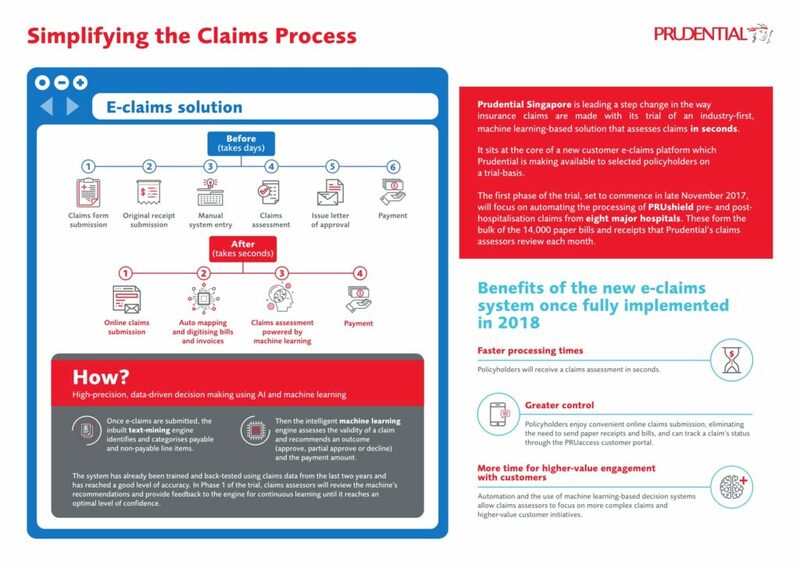 Prudential Singapore (Prudential) is leading a step change in the way insurance claims are made with its trial of an industry-first, machine learning-based solution that assesses claims in seconds. The first phase of the trial, set to commence in late November 2017, will focus on automating the processing of PRUshield pre- and post- hospitalisation claims from eight major hospitals. These form the bulk of the 14,000 paper bills and receipts that Prudential’s claims assessors review each month. Intelligent e-claims solution powered by machine-learning Once a participant uploads and submits a claim on the trial e-claims system, the inbuilt text-mining engine identifies and categorises payable and non-payable line items. 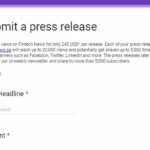 Then, the intelligent machine-learning engine assesses the validity of the claim and recommends an outcome (approve, partial approve or decline) and the payment amount.